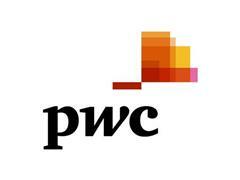 PwC’s Growth Markets Centre (GMC) and INSEAD Emerging Markets Institute (EMI) have combined to provide expertise and insights for a series of annual conferences aimed at drawing attention to the key factors for business success in emerging markets. The inaugural event, Emerging Markets Conference – Leading the growth revival, will be held on 12 and 13 November 2015 in Singapore at INSEAD’s Asia Campus. This conference will discuss perspectives on today’s most critical business issues and trends affecting emerging markets, including innovation, product and service adaptation, partnering profitably, political risk, sustainability, leadership development and governance - with a particular focus on Asia-Pacific. Participants will be able to interact directly with the line-up of leading global experts – policymakers, business leaders, entrepreneurs, INSEAD professors and PwC leaders – and gain insights from their experiences operating in emerging markets. “We are very pleased to be working with INSEAD EMI to hold this series of global events aimed at supporting businesses understand the challenges that are associated with operating in emerging markets. PwC’s Growth Markets Centre brings together the best of PwC and Strategy& growth markets expertise from across the globe to help companies navigate these complex new markets profitably. Our growth markets methodology supports companies in addressing their market entry and expansion needs. For more information, visit www.pwc.com/gmc​​. You can download the Emerging Markets Conference programme here​.